Beandot is a clean, simple, minimalistic blog theme which concentrates on displaying your awesome posts. 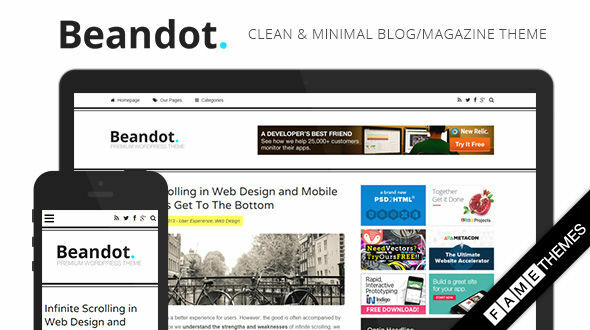 With a beautiful newsletter form, Beandot is a great starter theme for any project. And Beandot is a fully responsive theme, which means it adapts to the screen resolution of the device it is being viewed on. Your website will be equally usable and good-looking whether it is being viewed on large monitors, laptops, tablet devices, and smartphones. - SEO Optimized: Conquer Google’s new ranking algorithms and rise to the top. 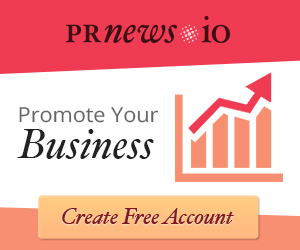 Our themes are optimized for SEO so you’ll stand out from the crowd. - Cross-browser Compatibility: We insure that all of our themes are compatible with the latest versions of all modern browsers. FireFox, Chrome, Safari, Opera, IE8 and above. - Custom Page Templates: Our page templates make your life easier by giving you access to pre-made styles and functions. Archives, full width, contact forms and more. - Page Speed Optimized: Don't fall behind your competitors, all of our themes are optimized for speed. Your site running our theme will loading lightening fast. - Complete Localization: All of our themes have been localized for easy translation. Included with each theme are sets of .mo and .po files that can be used to translate the theme. 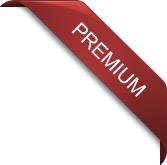 - Custom Built Widgets: Advanced functionality baked right into the theme's core. Add Twitter, Flickr, Video, Advertising and bundles more. - Shortcodes Generator: We created a small set of often used things like buttons, columns, video, alert etc. And it available through a plugin. 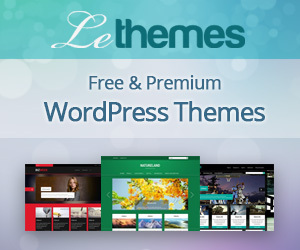 - Lifetime Support & Upgrades: Your theme will always be compatible with the latest version of WordPress. Also you will have our dedicated support staff at your back.